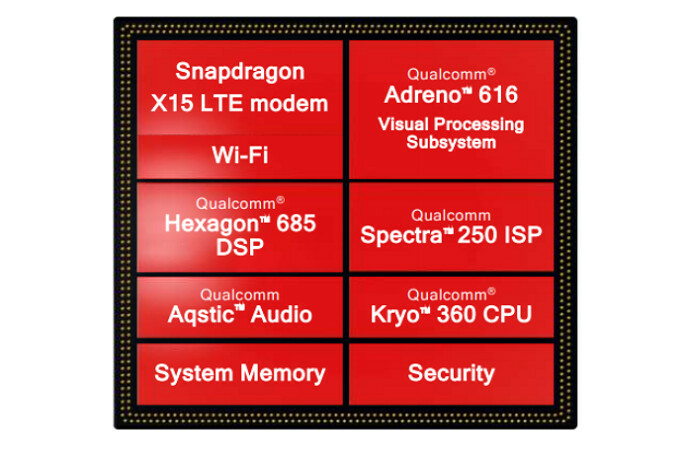 Late Wednesday, Qualcomm introduced the Snapdragon 710 Mobile Platform. The first chipset in the Snapdragon 700 tier, the SoC is built using the 10nm process and includes a multi-core AI engine and neural network processing. The Snapdragon 710 allows more affordable handsets to offer features that up to now, were seen only on pricey flagship phones. Compared to the Snapdragon 660 chipset, the new chip provides twice the improvement in AI applications. The octa-core CPU is made up of two high performance custom Kryo 360 cores running at 2.2GHz to do the heavy lifting. The remaining six Kryo 360 cores have a 1.7GHz clock speed and are employed for general housekeeping. Crunching graphics is the Adreno 616 GPU. The Kryo 360 architecture, which is based on ARM Cortex technology, is optimized to provide a 20% hike in performance and 25% faster browsing; it also opens apps 15% faster. 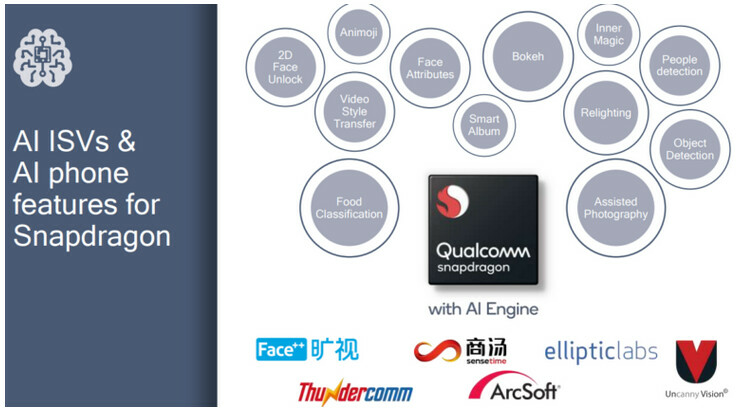 The Snapdragon 710 Mobile Platform's architectures are said to run on-device AI applications quickly and efficiently. Speaking of efficient, a device powered by the Snapdragon 710 Mobile Platform will use 40% less power for gaming and 4K HDR video playback. Streaming video consumes 20% less power. When it is time to replenish the battery, Quick Charge 4+ charges the cell to as much as 50% in just 15-minutes. 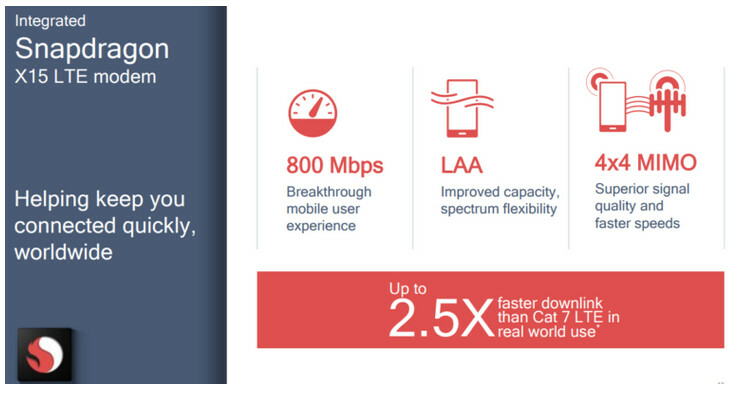 The Snapdragon X15 LTE Modem is included and supports Cat 15 LTE (800Mbps) speeds. The chip supports the latest 4G LTE connectivity improvements including 4x4 MIMO which allows for 70% faster download speeds in areas with a weak signal. Qualcomm states that the new SoC will come with "cutting edge Wi-Fi features and enhanced Bluetooth 5 multicast audio with support for ultra-low power wireless earbuds." Qualcomm's new SoC is equipped with the new Qualcomm Spectra 250 ISP which captures professional looking photos and videos. In low-light conditions, it helps provide superior images. It also supports "noise reduction, fast autofocus, image stabilization, smooth zoom and real-time bokeh effects." The Qualcomm Snapdragon 710 Mobile Platform is available to mobile device manufacturers today and you should find them powering new phones starting in the current quarter. So 636 next version 710 660 next version 730 Hope to see significant improvement in GPUs This year Helio P60 GPU dominated both 636 & 660. Really I thought the gpu was hot garbage. The cpu is amazing though. Besting the 660. Helio P60 GPU is bad. Compared to the 660. -No 5G Modem Connectivity support after all those qualcomm BIGS TAlKS on 5G network on it blogs,news it will come in smartphones next 2 years. -Does it support new wiFi ax standard and new enhance bluetooth 5.1? -Is it even build on 10nm LPP process node than on LPE process node? -Where is the successor to the SD630 and SD636 if this is the successor to SD660 is SD6XX is dead? -Will it be even cheaper on midrange smartphones prices not adding Nokia 8,Honor view 10 prices as upper midrange phones prices on future new phones with it compare to fully capable SD835 and Kirin970 on these phones with good prices on it. Really not impress with SD710 with couple of few flaws i mention. 5G will be maybe available in late 2018 in the USA (ATT), what;s the point in having it if you can't use it. as for bluetooth 5.0, well another s**t because as of April 2018 the Anker ZOLO Liberty+ True Wireless Earphones are the ONLY headphones with 5.0 capabilities... please stop with the nonsense. Almost feel this guy is trolling. 5G, wifi AX, and bluetooth 5.1? Why would the 710 series have all that when the 845 doesn't have any of those features lmao. If this chipset were set to release next year and it lacked those features I could get why someone might be disappointed, but this chip is releasing now. No way Qualcomm releases a midrange chip that has features that out does its flagship chip right now. So apparently you didn't read something here. This modem is for phones that are in development, which means that the phones will be coming out late 2018 and then a good portion of 2019. 5G will be in use, maybe not everywhere, but certainly in use. Bluetooth 5 will be much more prevalent. This 710 appears to be a VERY low end for the midrange and leaves me waiting for a real mid range processor. I hope there is a 8-A55 set cortex succesor to SD630 as SD640 in june or 4-A55/4-75 cortex combination in low clock speed successor to SD636 as SD646 in oct going by past history unveiling of prior chips records.Is SD710 is even base on Dynamic IQ architecture than on BigLit architecture. The next Snapdragon 640 is rumored to have six A-55 and 2 A75 derivatives with a Dual-Channel 16-Bit 1,866Mhz DDR4X RAM Module. That doesn't seem too far from the likes of Snapdragon 808. I think that's more than enough to beat SD821, maybe it won't be far off from SD835 in benchmark score. But that specs is of SD710 u mention green man.SD640 may be 8 A55 cortex overclock compare to SD460 underclock part or 4 A55 - 4 A75 underclock version. Also No Separate Hardware Neural Process Unit on it but Software Neural Process engine on it SD730 has NPU but will release at end of 2019 too late for that SD855/845/835 by that time will fit in the needs with low prices on last years flagships. Why do you keep ranting about new stuff? Some reasonable complains are okay but you just keep on blabbering non-stop. Don't buy a 710 phone if it comes out. No one's forcing you to do it. But learn to be thankful. 2 Big core plus 6 small core makes this processor an ideal mobile SoC. I would take this SoC over other mostly useless 8 core SoC. Why 8 core Soc with 4 A53 and 4 A73 will be less powerful than 2 A75 and 6 A55?Don't tell me it's because of Architecture change from BigLit to Dynamic IQ.Care to explain. I'm guessing either the 660 or 670, but most likely the 660. Edit: On Qualcomm's own site they compare the performance to the SD660. That would be the answer then. Problem is the 710 was going to be the 670. Almost same level of 820. Probably just OPPO, VIVO and XIAOMI may use it. 660 is from H2 2017 and still not popular like 625 and 630. So is the 710 > 660?